An imprisoned boy reveals the dark truth behind his psychosis. 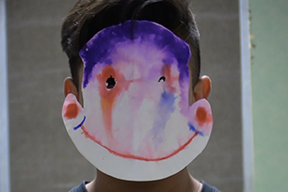 From the LA SKINS FEST Native Youth Multimedia Workshop, this film was produced by participating youth who felt the need to explore current problems in their world. The Native Youth Multimedia Workshop is sponsored by the San Manuel Band of Mission Indians and the National Endowment for the Arts.